For a long time, I have been using the original Razer Naga mouse for gaming. Mainly because I need the 12 thumb buttons on the left side for League of Legends (LOL). But I have my secondary laptop, which I would also like to carry a gaming mouse with. 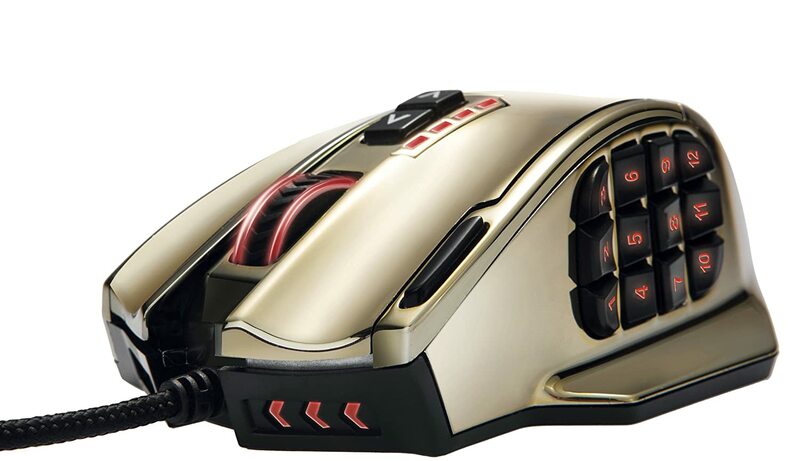 Other than the Razer Naga MMOG Laser Gaming Mouse, there is no other gaming mouse, with twelve thumb buttons, on the market for a while (years). And I have been in no mood to spend another $80 bucks on a Razer Naga. So when I saw the UtechSmart Venus Laser Gaming Mouse on Amazon for less than $40 (see "Related Links" below), I was thrilled. It also had twelve thumb buttons, which means I can now get the same functionality on my secondary computer. When I was looking at gaming mouse that has twelve thumb buttons, I also saw the Redragon M901 PERDITION Laser Gaming Mouse. The two mouses are basically the same and probably came out of the same OEM. However, I chose the UtechSmart Venus Laser Gaming Mouse over the Redragon M901 PERDITION Laser Gaming Mouse. Read my "Redragon M901 PERDITION Laser Gaming Mouse Review" article to see why. It's fairly big compared to other gaming mice--Razer Naga and A4Tech Bloody Multi-Core Gaming Mouse Gun3 V7--I use. But its size actually fits my hand perfectly, taking up the entire contour. One of my biggest complaints about the Razer Naga MMOG Laser Gaming Mouse is that it seems too small for me; prolonged use for non-gaming purpose is tiresome and even painful. So I actually only use the Razer Naga for games that needs the 12 thumb buttons. I use the Bloody Gun3 V7 mouse for every other game and task; both mice are connected to my primary gaming PC. The UtechSmart Venus Laser Gaming Mouse solves the two mice problem. Other than the typical two button and scroll wheel combination, it also has three other buttons on top. The two arrow buttons allow you do change the Dots Per Inch (DPI) quickly. It's the only mouse I own where I can change the DPI intuitively without referring to the instruction manual; I love it. Press the up button to move up in DPI; vise-versa for the down button. Four LED's next to the buttons indicate the DPI that is set, providing five DPI presets (including all LED off). 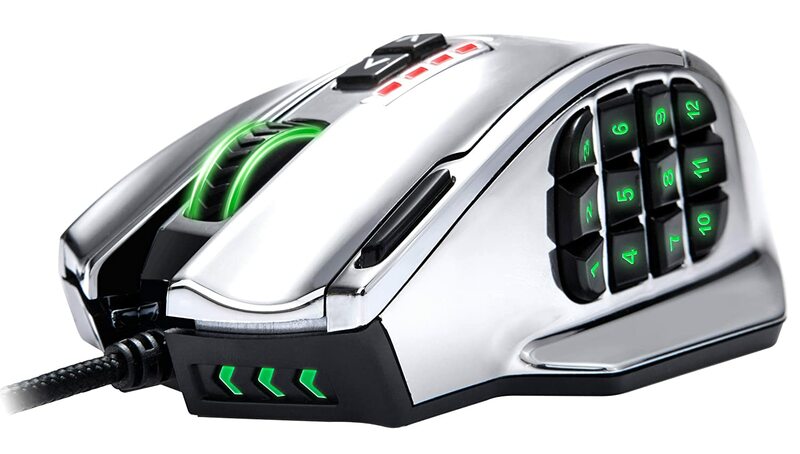 The UtechSmart Venus Laser Gaming Mouse comes with eight weights pre-installed. Each metal weight is 2.4g. But even with all eight weights, the mouse is still pretty light. So I have left all the weights in. There is a carrying case for unused weights. All twelve buttons are easily reachable with my thumb. I have been able to use these buttons without having to relearn from my Razer Naga MMOG Laser Gaming Mouse experience. And I have been able to move back and force between the UtechSmart Venus Laser Gaming Mouse and the Razer Naga MMOG Laser Gaming Mouse without much fuss. In League of Legends, I am just as proficient with the UtechSmart Venus Laser Gaming Mouse as I am with the original Razer Naga MMOG Laser Gaming Mouse (mostly because I have never really played any champions with pets).